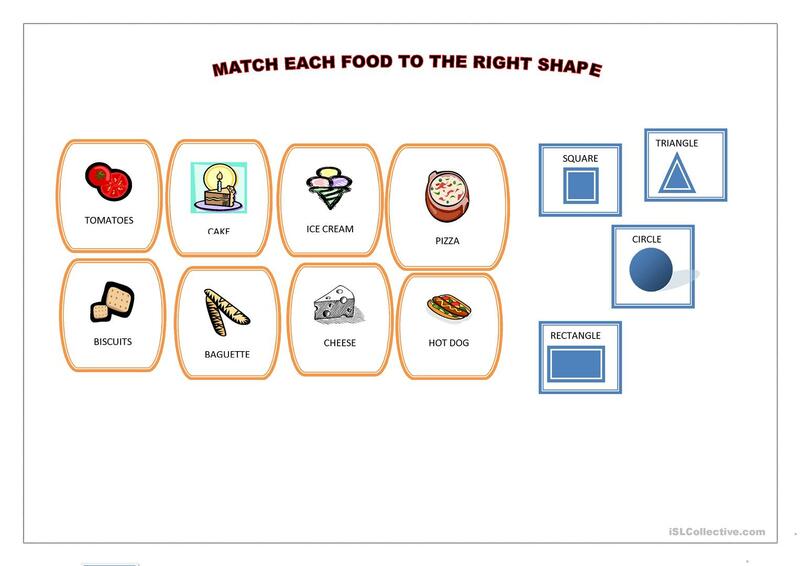 match each food to the right shape. 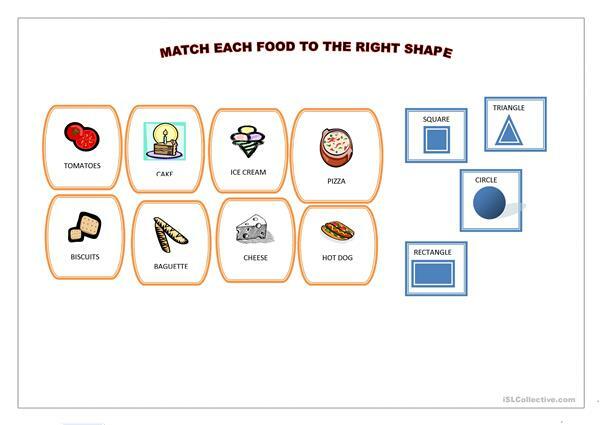 it's a clil activity.you can use to reinforce maths "SHAPES"with english food vocabulary. The above downloadable handout is intended for elementary school students at Elementary (A1) level. It is valuable for teaching Nouns in English, and is useful for developing your learners' Reading and Writing skills. It is about the theme of Food.